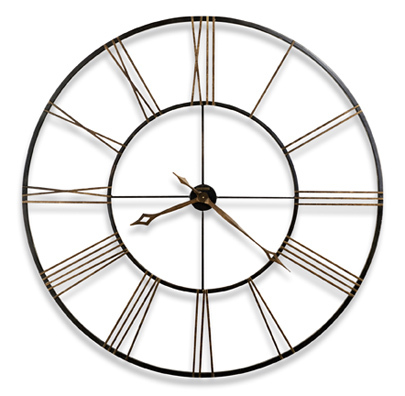 This incredible 49" diameter wrought-iron wall clock is finished in aged black with applied antique gold numerals. The hour and minute hands are finished in antique gold and feature an open fret-cut diamond style. 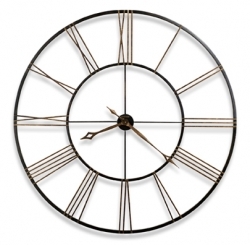 Clock ships in two easy-to-assemble sections, making it possible to ship via UPS and FedEx.